for Montgomery County residents. 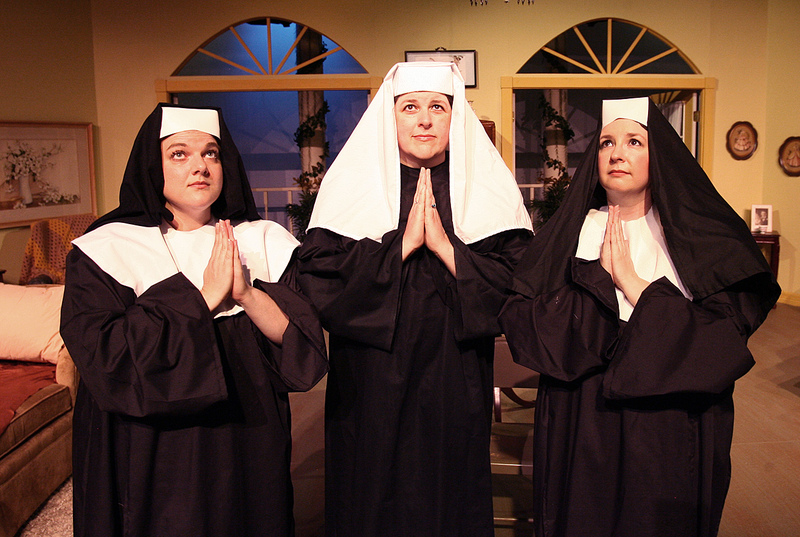 With some forty-five years of experience to back them up, the Crighton Players’ offered a perfect example of that enrichment with their most recent offering, Rodgers & Hammerstein’s, The Sound of Music. curtain time. Craig has a magical way of managing all this with such skill that rather than having to run around backstage with last minute details before the final performance last Sunday afternoon, she was, instead, relaxed and serene out in the lobby where she could cheerfully greet arriving guests. But she very justifiably gives much credit to her assistant director, Becky Teague, musical director, Dave Englert and vocal coach, Kerri Edwards. The proof was in the pudding. The well-known story (based in fact) tells of young Maria (a radiant Alexandra Casey), the troublesome postulant at an Austrian abbey who is sent off by the nuns to be governess for the children of widower, Captain Von Trapp (Creg Kelly). 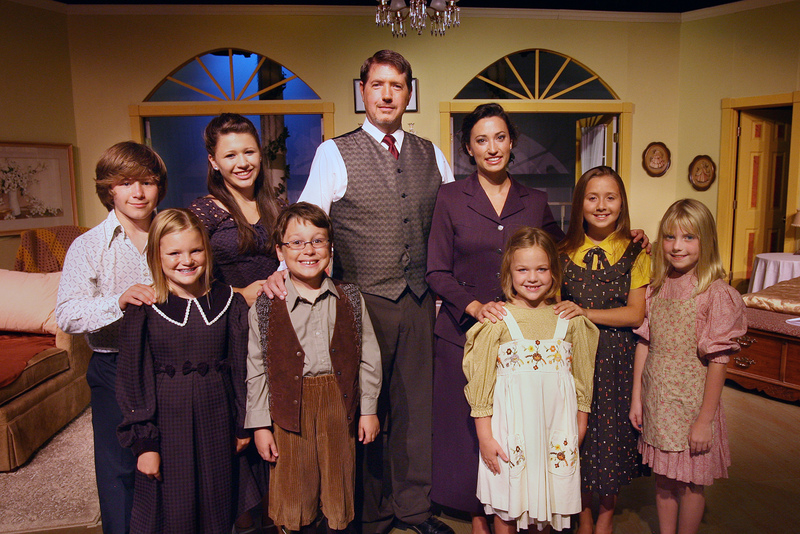 Casting of these children resulted in a superbly talented group including Katja Yanko (Liesl), Robbie Yanko (Friedrich), Payton Russell (Louisa), Ian Reina (Kurt), Shelby Lambright (as precocious Brigitta), McKaylie Self (Marta), and Macie Self (as little Gretl). With Miss Casey leading the way, the children sang sweet numbers like, “Do Re Mi,” “The Lonely Goatherd,” “So Long Farewell,” and “The Sound of Music.” It was as if to hear the very angels in our midst. 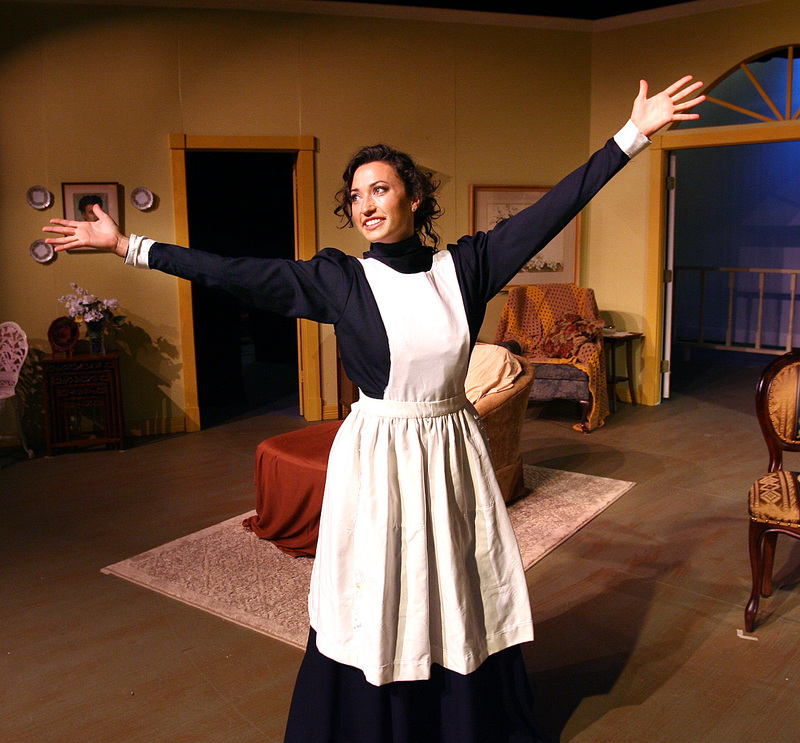 Jodie Schrier neatly choreographed many of their numbers, while Lynn Peverill designed the show’s lovely costumes. With the plot turning to the Anschlussannexation of Austria by Nazi Germany in 1938, we meet young Rolf (Jordan McLaughlin), a Nazi courier and love interest for fellow teen, Liesl. Their darling duet of “Sixteen Going on Seventeen” was yet another show highlight. Act Two delights included the children’s charming performance at the festival, lightened deliciously by an amusing bit with Miss Lewellen and Miss Talley as the hilarious Schweiger Sisters, runners-up in the contest. Then too, there was the charming, “An Ordinary Couple” duet from Maria and the Captain, more treats from the nuns, (“Maria,” “Gadeamus Domino,” “Confitemini”), the lovely wedding scene for Maria and the Captain, and his tender, “Edelweiss,” (clearly the best vocal moment for Mr. Kelly), as the family surrounded him in song for that Austrian National Anthem while the Nazis advanced. It was a moment to reflect on how fortunate we are to live in a free country where theatre can still comment on political evil without risk. 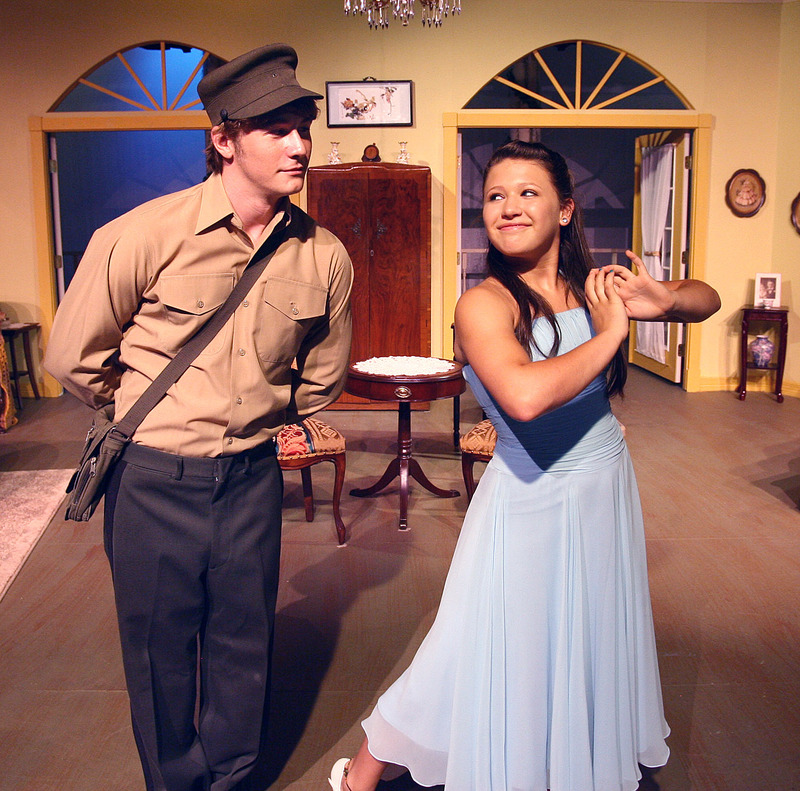 This entry was posted in Broadway, Miscellaneous Reviews, The Courier Columns, Theater Reviews and tagged Broadway, Conroe, Entertainment, Houston, music, musicals, Reviews, theatre. Bookmark the permalink. 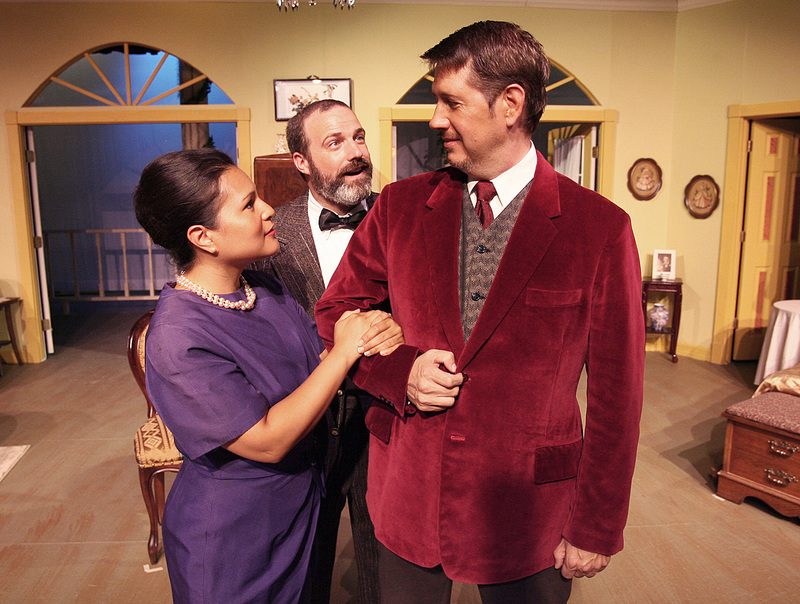 I would like to use articles and excerpts from your blog when you review the Crighton Players shows. I currently do that with Peggie Miller, but I want to expand the reviews to include you and others. Of course you would be properly attributed and linked to.